Billboard is a form of large format advertising campaign that is installed with a certain height. 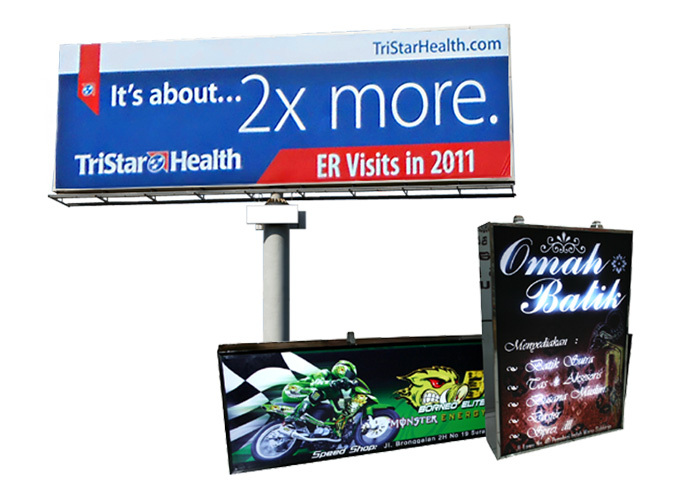 Billboard includes the most widely used outdoor advertising model. Billboard uses hollow iron material, elbow iron, pipe pole and has an aluminum or zinc plate and uses concrete cast foundation, and visualization can use large printing and for lighting more commonly use spotlights.